New Orleans' Neville Brothers--Art, Aaron, Charles and Cyril--are famed for their fiery soul and funk, blues and ballads, Caribbean and Crescent City rhythms. Saxophonist Charles Neville recently passed away. He first learned to play music in the family's uptown Valence Street neighborhood, and quickly took to the stage. By 15 Charles was with the Rabbit Foot Minstrels and later Bobby Blue Bland, B.B. King and Big Maybelle, among others, touring the Jim Crow South. A drug habit landed the sax player in Louisiana's infamous Angola Penitentiary from 1963 to 1966. It was a reforming and learning experience for him, playing bebop jazz with other inmates and integrating prison bands. In the seventies, Charles and his siblings formed the Wild Tchoupitoulas and then the Neville Brothers, bands that blended the homegrown sounds of New Orleans Mardi Gras Indians and street life with modern soul, funk and jazz. We pay tribute to Charles by revisiting our interviews with him and his brothers over the years, as the Nevilles tell stories of family life and their adventures in and beyond the city where they learned their craft. In this special program, we visit Angola, the notorious plantation-turned-penitentiary, to hear stories and songs from within the prison's walls. We talk with saxophonist Charles Neville about serving time at the "Farm" during the Jim Crow era, playing with fellow inmates in the Nic Nacs, and the role of music in integrating prison life. We hear previously unreleased Harry Oster field recordings of Mardi Gras Indian chants and bebop jazz from Angola in the late-50s. And we go on-site for interviews and performances with contemporary Angola musicians. 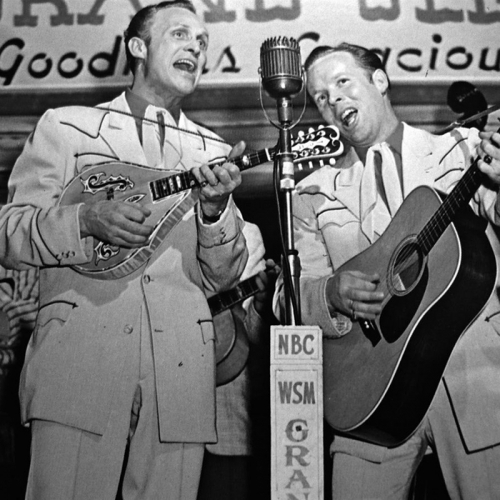 Plus, we explore the popular tradition of prison music from singing inmates like Leadbelly and Merle Haggard to live performances from Johnny Cash at San Quentin and B.B. King at Cook County Jail. Since 1982, the National Endowment for the Arts has presented the fellowships - America's most prestigious award for folk & traditional arts. We'll hear music and conversation from Fellows in years gone by, like Doc Watson, Staple Singers, Clifton Chenier, Ralph Stanley, B.B. King, Flaco Jimenez and New Orleans' own Treme Brass Band. Then we present the 2015 Fellows, many performing live from the stage at George Washington University, including the Gee's Bend quilters, a circus aerialist, Piedmont bluesman, klezmer musicians, mariachis and more. Each year, American Routes celebrates the long Thanksgiving weekend with a sonic cornucopia from the National Heritage Fellows. Since 1982, the National Endowment for the Arts has presented the fellowships - America's most prestigious award for folk & traditional arts. We'll hear music and conversation from Fellows in years gone by, like Doc Watson, Staple Singers, Clifton Chenier, Ralph Stanley, B.B. King, Flaco Jimenez and New Orleans' own Treme Brass Band. Then we present the 2015 Fellows, many performing live from the stage at George Washington University, including the Gee's Bend quilters, a circus aerialist, Piedmont bluesman, klezmer musicians, mariachis and more. Travel down Highway 61 in a conversation with blues legend B.B. King. Plus variations on "St. Louis Blues," and music from Eartha Kitt, Little Feat, Miles Davis, and Robbie Robertson. 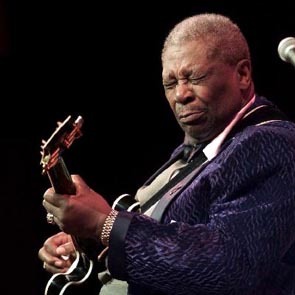 Our Highway 61 feature continues with blues legend B.B. King. With variations on "St. Louis Blues," and music from Eartha Kitt, Little Feat, Miles Davis, and Robbie Robertson.